Garland magazine in Australia is an informative and thoughtful journal dedicated to contemporary and traditional crafts and design - with the strapline 'The stories behind what we make'. The magazine uses the garland as a motif to encourage a dialogue across the Asia Pacific about the objects that give our lives meaning. The latest Garland issue #5 focuses on India with many fascinating stories and insights into crafts old, new and in transition. 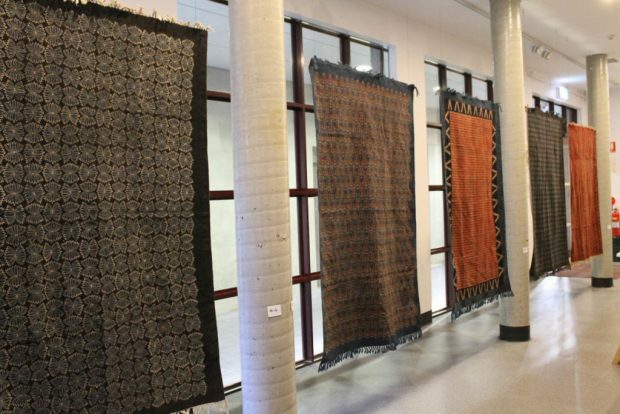 LOkesh Ghai is a textile artist, researcher and academician working with traditional craft practice. Recently LOkesh showcased his work as part of India Street in Scotland; the show was a runner up for the most sustainable design practice award in the Edinburgh International Art festival. Currently he is working with the Warli tribes of folk artists as part of Re:imagine India, towards the 70th year of Indian independence. 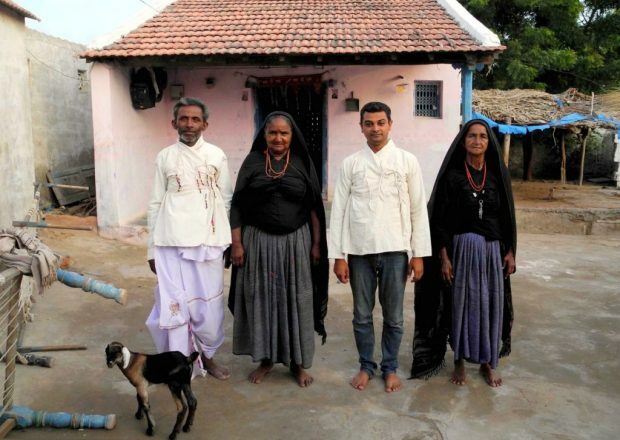 In Garland #5 he writes about how he learned to make a traditional kediyun with one of the last Rabari tailors of the garment in Kutch, Gujarat. The magazine contains some great articles about Australian contemporary crafts artists and writers who have long links with India and have developed projects and cultural exchanges over many years. There's an article on the perils of e-commerce for traditional crafts makers, a piece on seeking out the handmade brick culture of India, a project involving designers collaborating in Mumbai’s “Chor Bazaar” (thieves market) and Studio X, using the bazaar as their only source of materials and making processes, contemporary textiles dyed with Indian chai and so much more.